Start Apple II, the First Truly Personal Computer? Apple II, the First Truly Personal Computer? On June 5, 1977, the fledgling company Apple from Cupertino (California) put a personal computer on the market. The now-mythical Apple II was not the first product from the firm founded by Steve Jobs and Steve Wozniak, nor was it the first personal computer. And, of course, there were no crowds amassed at the gates of their establishments waiting to purchase it. But over time it would become “one of the most successful products of all time,” in Wozniak’s words. But above all, it was the first big step along a path that led to building one of the most recognizable brands in the world. In the 1970s, Silicon Valley was a vibrant nucleus of innovation that provided components to a powerful computing industry controlled by large corporations and institutions. At that time, computers were still big and expensive machines. Outside the corporate sphere, only a handful of enthusiasts had the knowledge to manage these technologies and to know what to do with them. According to what computer historian David Greelish, author of Classic Computing: The Complete Historically Brewed, explained to OpenMind, “the microcomputer revolution arose independently from the computer industry.” It was hobbyists that started building the first personal computers using parts such as the first chips manufactured by Intel. In 1975, the first computer that achieved commercial success came on the market, the Altair 8800, which could be purchased already assembled. However, the usual thing was that these do-it-yourself amateurs bought kits to assemble. “It was only of interest to electronic hobbyists because it was difficult to use,” Michael R. Williams, an emeritus professor at the University of Calgary in Canada and author of A History of Computing Technology, told OpenMind. 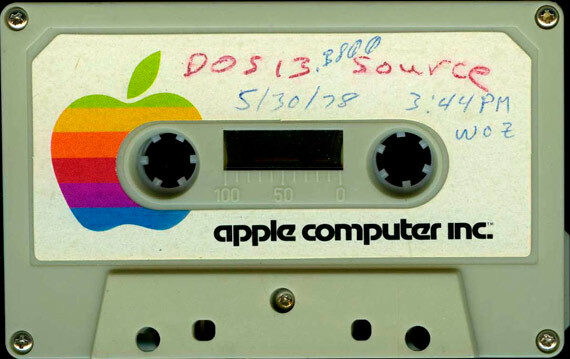 This was also the case with the Apple I, the first kit made by two former high school friends who had been reunited at the Homebrew Computer Club, a gathering place for electronics enthusiasts in Silicon Valley. Shortly thereafter, Wozniak and Jobs created Apple Computer. The name and the logo, that of the apple, were inspired by Jobs’ previous experience working on an apple farm and by the record label Apple that published the records of The Beatles. According to Apple-based computer historian Corey Cohen, there is no basis to the idea that the name was inspired by the alleged suicide of computer pioneer Alan Turing with a poisoned apple. The first Apple computer was only a motherboard designed by Wozniak. If the user wanted a casing, he had to manufacture it himself. While Wozniak was the engineer of the pair, Jobs saw the future of computers in making machines for consumers, already assembled, easy to use and with an attractive design. “One of the things that Steve Jobs brought to the market was the idea of ​​a computer as part of your life, and you can see this in his early advertising,” Cohen tells OpenMind. Thus was born the Apple II. 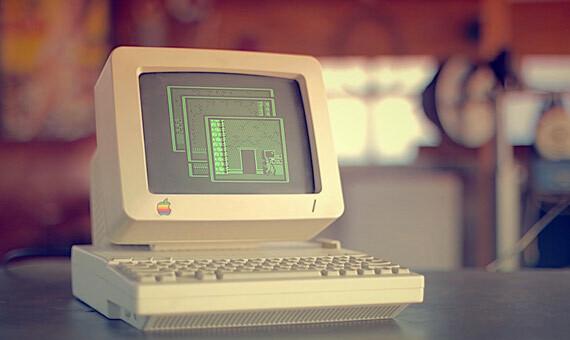 In its interior, Wozniak provided an 8-bit microprocessor, with a basic 4 kB RAM memory and an audiocassette interface to download programs and store data. Jobs covered it with an attractive plastic casing that for the time was a revolution. And above all, the keyboard and the connection to a video monitor defined a concept that has been maintained as the standard until today. All this was offered for a retail price starting at US$1,298, a significant amount of money for the time. The Apple II was not alone in the market. Competitors such as the Commodore PET 2001 and the Tandy TRS-80 were launched at the same time. All three machines had in common “their approach to computers as appliances,” Cohen sums up. “There wasn’t an expectation or computer skills required to start using one.” However, the Apple II had something else: a colour video connection, a feature that Jobs and Wozniak emphasized by redesigning the Apple logo with colour stripes. However, the Apple II did not immediately triumph: “Initially the Apple II was not a big seller,” says Cohen. According to this expert, there were two new advances that subsequently boosted its popularity. The first was Disk II, a cheap and reliable floppy disk drive designed by Wozniak and launched in 1978 to replace the cassette interface. The Apple II marked the beginning of Apple’s rise, but soon faced a serious competitor. According to Williams, when IBM discovered that all its corporate customers wanted VisiCalc, the computer giant was quick to launch its own personal computer, the first PC, in 1981. Apple would respond in turn in 1984 with the first Macintosh, which popularized the mouse and the graphical user interface. The Macintosh would coexist with the Apple II for a decade, but not without tension. “Apple internally had a problem in the late 1980s where Apple II people and Macintosh people would nearly be at each other’s throats,” says Cohen. Finally, the Apple II series stopped producing in 1993, putting an end to an enormously successful line, but not to a style and a brand that for many of its followers continue being almost cult objects.